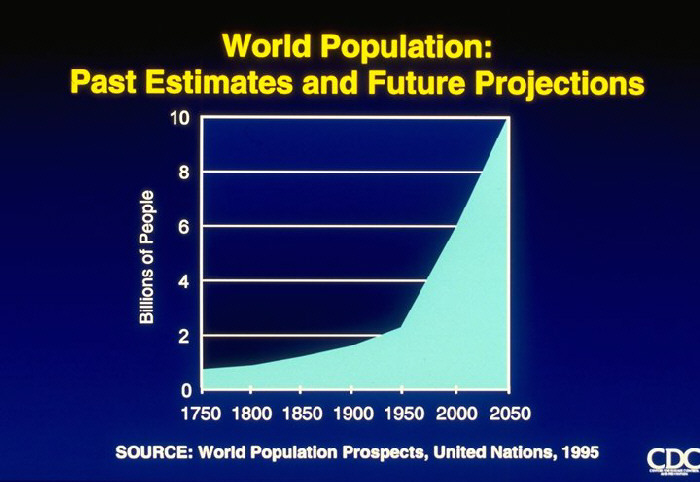 A graph showing world populuation, including past estimates and future projections. Maternal opiate use and newborns suffering from opiate withdrawal are on the rise in the U.S. Animal Rabies, United States, 1955-1995 (graph).